Following news of her receiving a $10,000 grant from the Miami Valley Community Action Partnership, Bethany Ramsey announced she will expand offerings at her shop, Puff Apothecary, to include salon services. 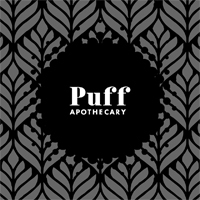 Located inside the first-floor stores of the St. Clair Lofts at 37 S. St. Clair St., Puff Apothecary currently sells all-natural products for hair and skin. Ramsey said she is looking at an October date for the salon soft launch, and February for a grand opening event.